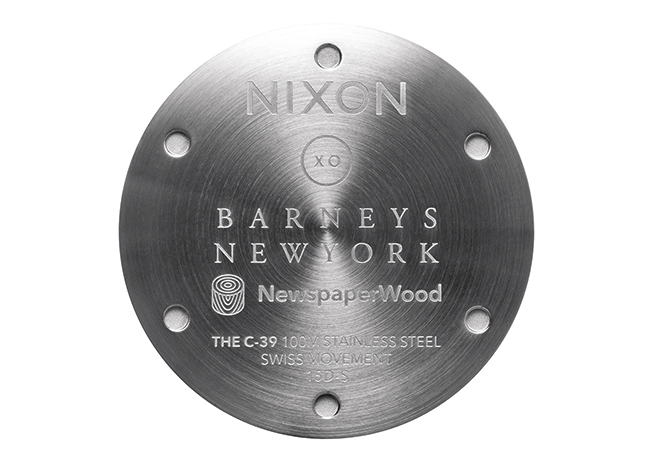 For its latest Barneys collaboration, Nixon teamed up with NewspaperWood who restores newspaper back into their wooden form to create unique designs like you see in the dial of their new watch. 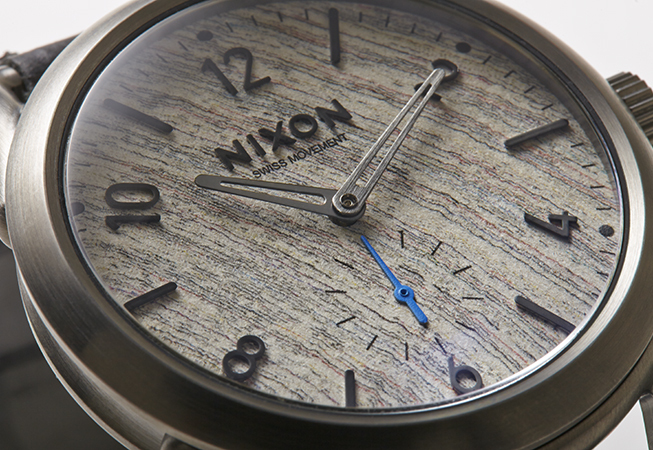 These materials are created by taking glued recycled papers, rolling them into logs, and then the logs are cut giving the layers of paper a wood-like design like the rings of a tree. 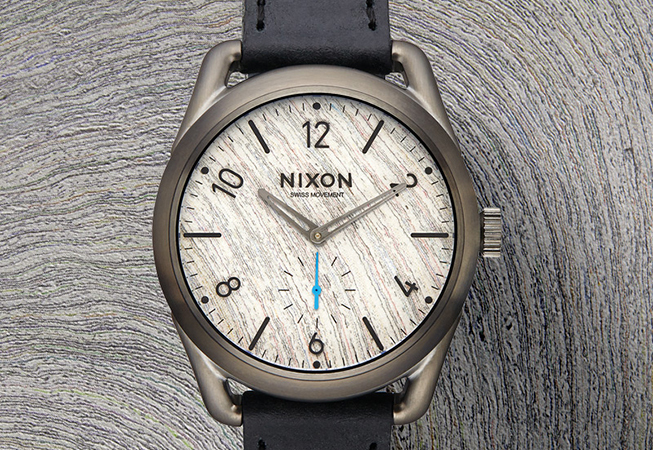 The NewspaperWood dial is wrapped in a 39mm case and the dial features applied indexes, seconds subdial, custom molded hour and minute hands, Horween leather strap, and the collection is limited to just 100 pieces. 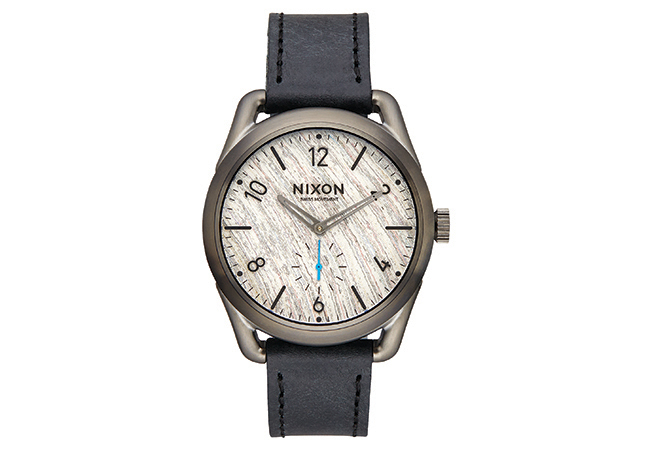 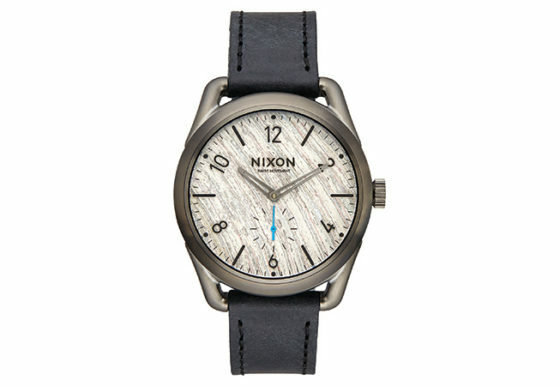 Crafted of gunmetal-tone stainless steel and NewspaperWood, a man-made material made out of recycled newspapers that have been cut and sanded to resemble wood grain, Nixon’s C39 watch features a 39mm case and a black leather strap.